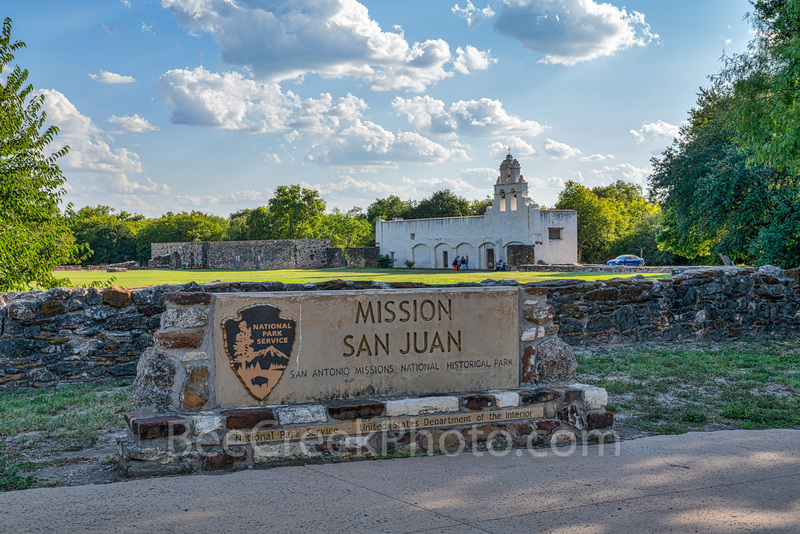 The Mission San Juan Entrance - The Mission San Juan entrance in San Antonio with the sign with the Mission in the background. This mission is now park of the National Park Service. It is a landmark for the city and is part of San Antonio Missions National Historical Park.